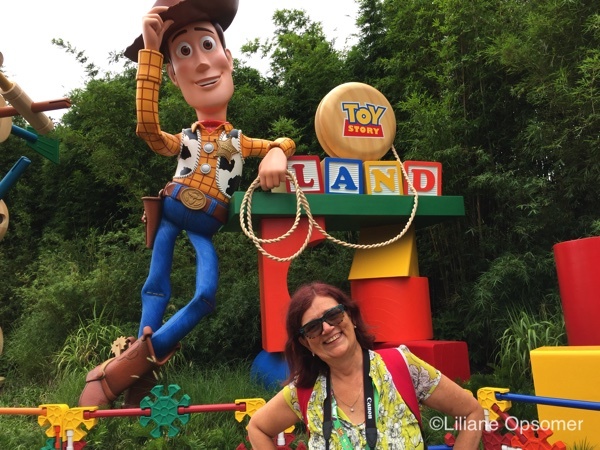 Liliane Opsomer, coauthor of The Unofficial Guide to Walt Disney World with Kids, checked out the many Toy Story Land fun facts. On June 30th, the 11-acre Toy Story Land, themed to the Pixar film franchise, opened with two new rides at Disney’s Hollywood Studios. 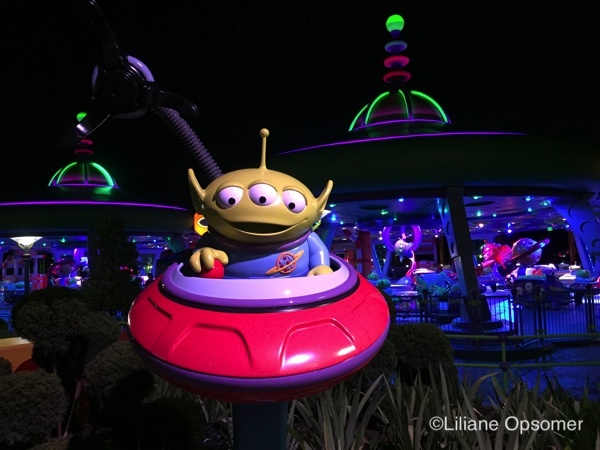 While outdoor roller coaster Slinky Dog Dash, the Toy Story vending machine-themed Alien Swirling Saucers, and Toy Story Mania! 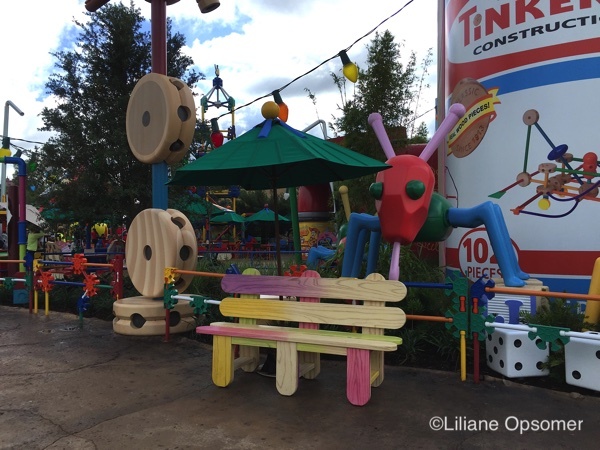 (now incorporated in the land) are the big tickets, there are lots of Toy Story Land fun facts to be discovered. 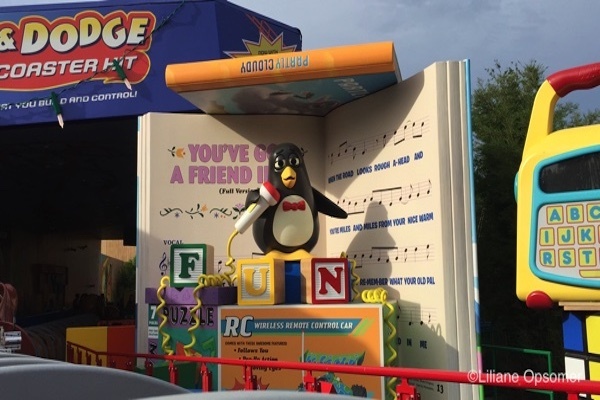 Wheezy, the toy penguin from the Toy Story films, is an all-new Audio-Animatronics figure that guests encounter at the end of their Slinky Dog Dash ride. The ride stops just long enough prior to discharging for guests to hear him singing “You’ve Got a Friend in Me.” The story goes that Mike the tape recorder (who is standing across from Wheezy) has provided Wheezy with a microphone! On Wheezy’s right is Mr. Spell, texting funny commentaries. 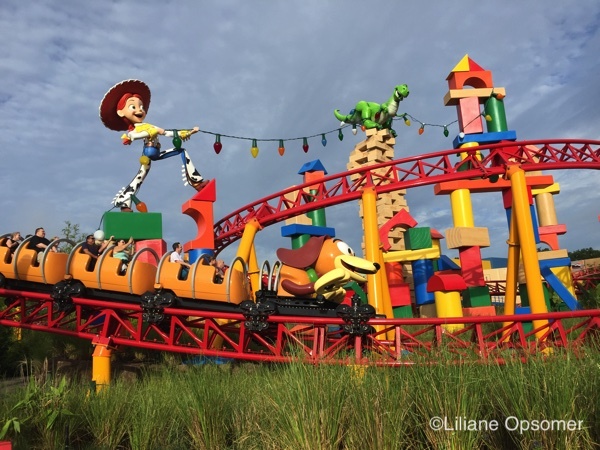 Toy Story Land features giant replicas of Woody and his friends. 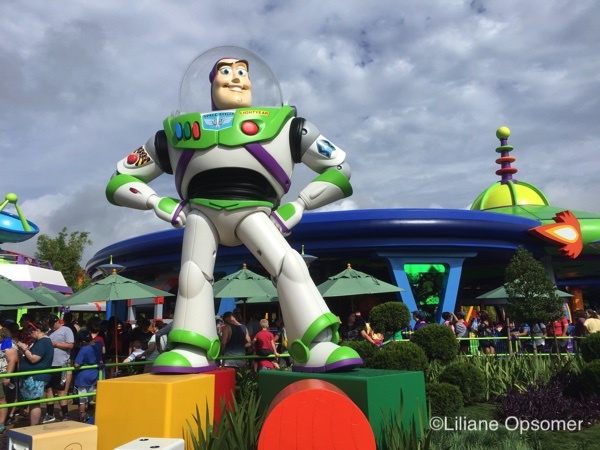 You would need a backpack the size of a school bus to carry the Buzz and Woody figures that tower over the land. Even the pavement has surprises. You can find Andy’s footprints throughout. They are about 25 feet long, the equivalent of a size-240 shoe. It would take a Green Army Man about 12 steps just to travel the length of one of Andy’s footprints. 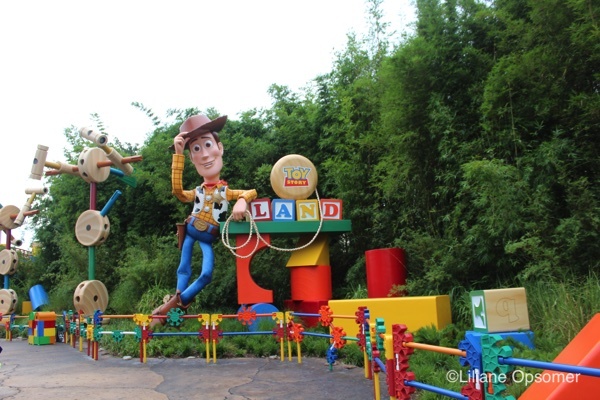 When entering the land, guests are greeted by a giant, talking Woody. Just a little farther in, Rex the dinosaur chats with Jessie the cowgirl as she encourages him to fix the colorful Christmas light chain onto the Jenga tower. Disney says that, together, Rex and the tower are as tall as 7½ Green Army Men standing on top of one another. 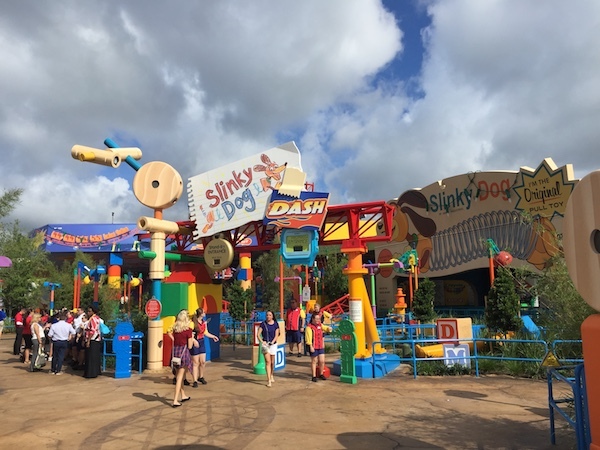 The queue of Slinky Dog Dash is long, but, like the entire land, it’s beautifully themed. 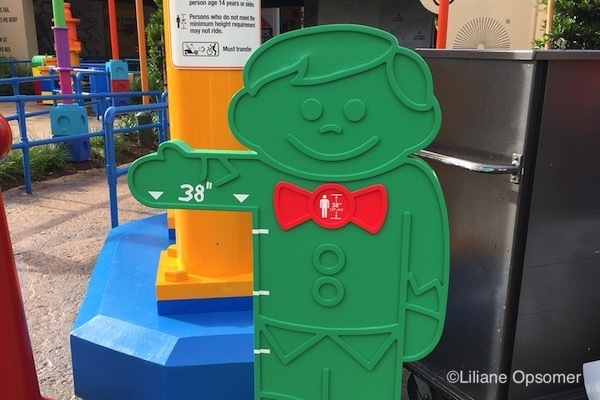 It includes a height requirement figure that is a replica of a game piece from Candyland and there’s a mural on which Andy has laid out his plans for building the roller coaster. There are giant toys everywhere, and more than 400 toy blocks fill Andy’s backyard. Did you know that Sarge and his Green Army Men roam the land in search of new recruits? 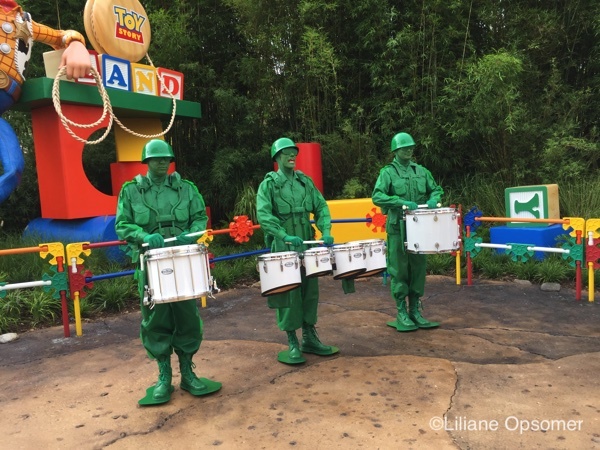 Honorary toys wishing to become official cadets in the Green Army Man Drum Corps while visiting Andy’s backyard can do so by participating in a fun, interactive boot camp. 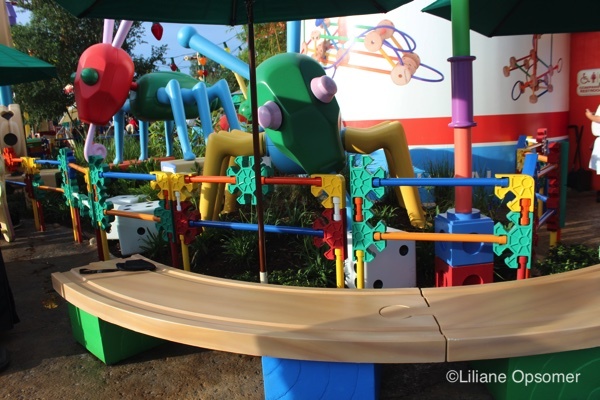 One of my favorite details in the land is the design of the benches. Some look like they’re made out of giant Popsicle sticks, while others are made out of dominoes or huge wooden train tracks crafted from a Lincoln Log set. 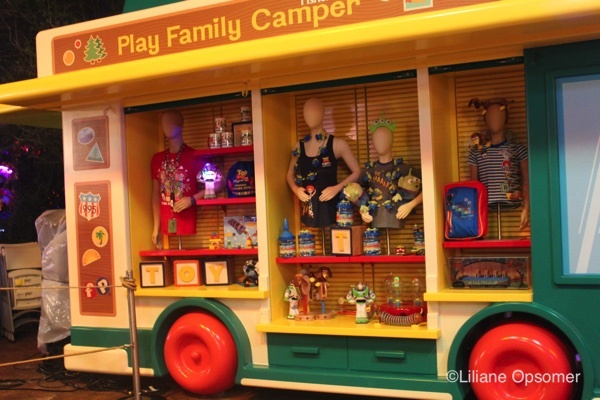 One of the merchandise carts is an oversize Fisher-Price Family Camper, and the Viewfinder disc inside the Toy Story Mania! queue shows images from Disney’s animated Peter Pan movie. 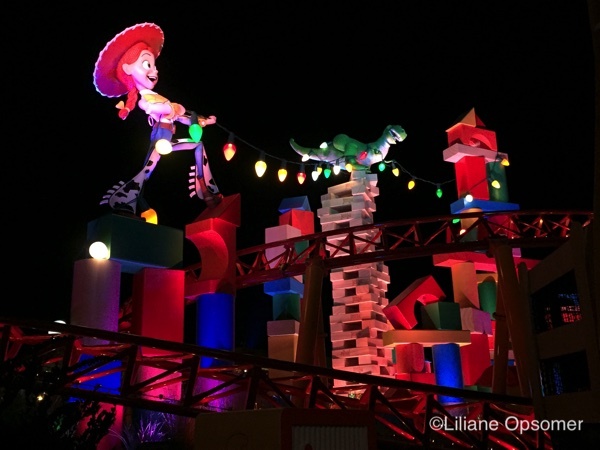 At sunset, when the rides are lit and the colorful Christmas lights are turned on, Toy Story Land becomes a toy wonderland. 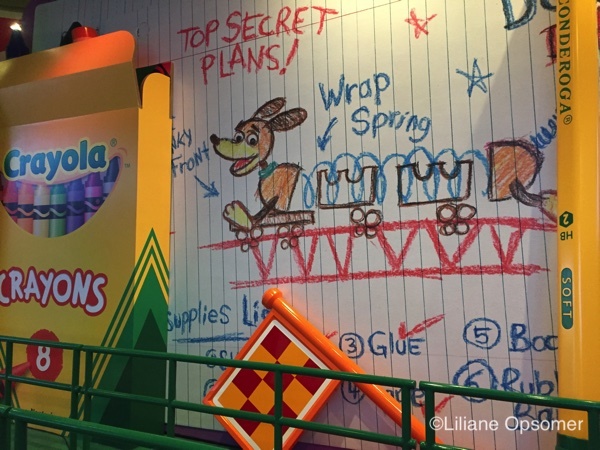 There are many Toy Story fun facts hidden in plain sight throughout the land. Have fun exploring this new land in search of more. She visits the parks several times a year.